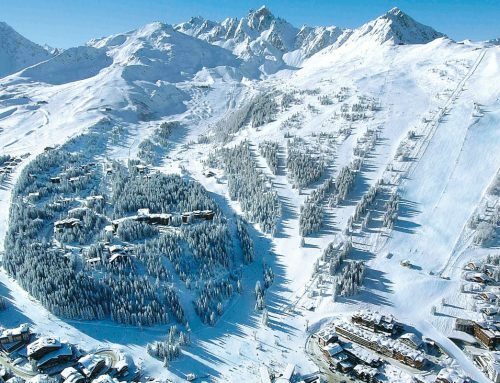 After 10 years of skiing Courchevel, the Jean-Blanc black run still makes Andrea’s heart beat faster. It’s one of the steepest blacks in resort so it’s still a challenge and uninterrupted views down to the valley floor make it feel even more extreme than it actually is. She will always head straight for this run on days when its been pisted for a pure adrenaline rush. 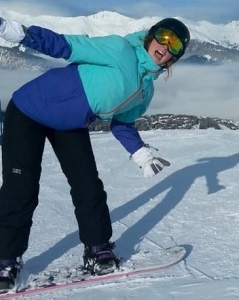 She also has fond memories of taking her nieces and nephews skiing on the lovely Bellecotte green run and realising how amazing it is to watch little ones you love learning to enjoy the slopes. Phil eventually decided on black run Dou des Lanches at the top of La Tania as his favourite, especially on a powder day, when people zoom past it on the way to Courchevel leaving it untracked with amazing snow. Dou des Lanches is undulating and steep enough to still get the heart racing a little! Beth decided to go for a good old ‘Courchevel Classic’ and opted for Combe Saulire as her favourite. 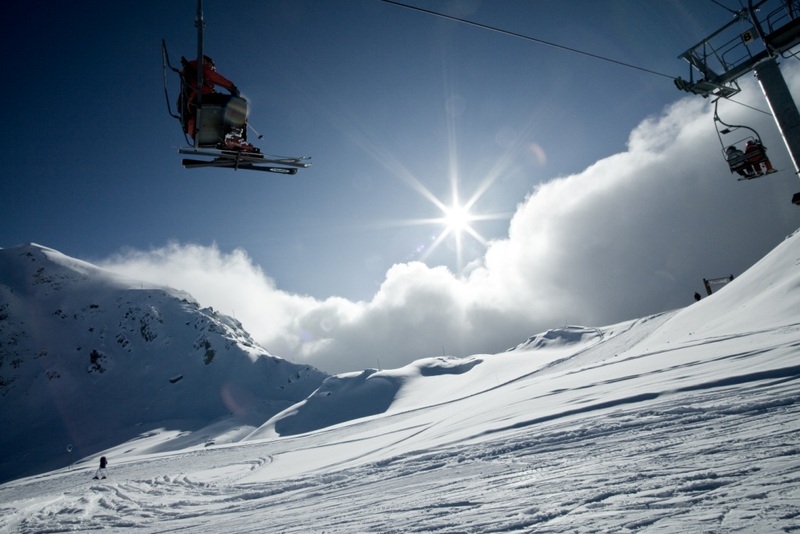 It is your definitive piste of the valley with its famous James Bond Saulire gondola lift taking you right up to the top and fab views across the mountains. It starts off pretty steep but is long and wide and she finds it is best to hit it in the morning when its freshly groomed for an amazing ride. 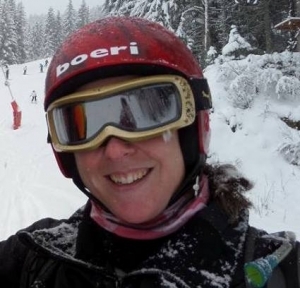 Deb went for Biollay as her favourite, mainly due to the fact that you can jump off it and straight into Team Snow Retreat’s favourite watering hole, The Courcheneige. It is a fairly long and wide blue piste that is served by the new 6 man Biollay chairlift. It features a lot of nice rollers and is always well pisted with snow cannons to keep the conditions great all season long. 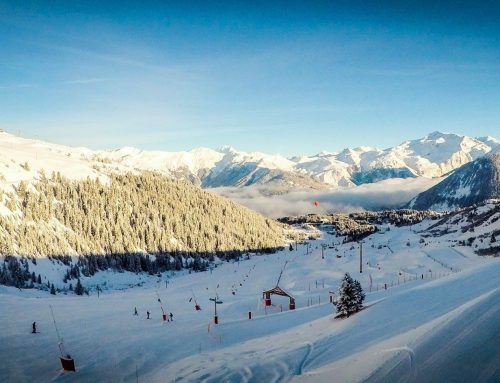 Rach chose the wide and often forgotten red run Chappelet that takes you the furthest east that you can go in the 3 Valleys. It has a lovely picnic site at the top of Signal lift where you can enjoy amazing views of the national park. The run itself is usually quiet and has loads of great opportunities to drop off the sides and through the trees. As an experienced snowboarder, Gav spends a lot of time off piste but when he is on piste he is always looking for the steepest and most challenging black runs. 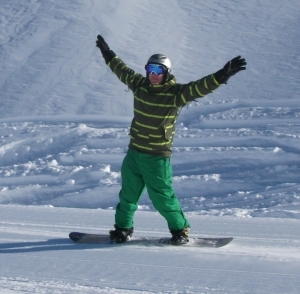 His favourite is Combe de pylons which is amazing when it is pisted, a super steep, wide run with very few people on it. 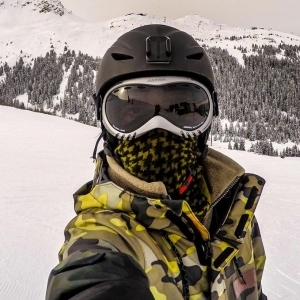 He also chose Jockeys which ends in Le Praz; one that is great on a powder day because people go elsewhere and head out of valley missing some of the best stuff right on their doorstep. Pav got in their first and managed to bag Folyeres as his ‘Pick of the Pistes’. His ‘need for speed’ comes out on this run as it was here he hit some of his highest speeds of the season on his way home to La Tania each day. It offers quite a variety of features with a very changeable gradient and steep sections that give you a great adrenaline rush at the end of the day. 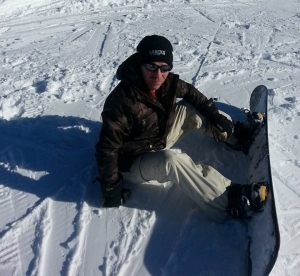 Pete is a big fan of the blue run Creux because of the awesome views from the top. 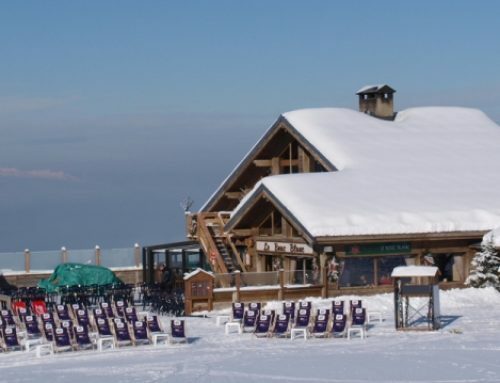 It is really long, nice run that can take you down towards Courchevel Moriond (1650) where Pete and partner Rach always go for their favourite falafel at La Boulotte. 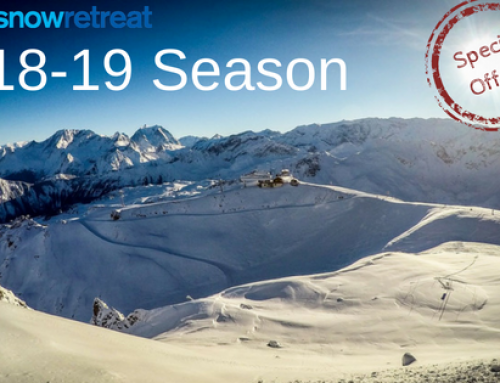 Keep an eye out on our Facebook and Twitter for the next installment of Team Snow Retreat’s Pick of the Pistes from the 2015/16 new additions to the Snow Retreat family.